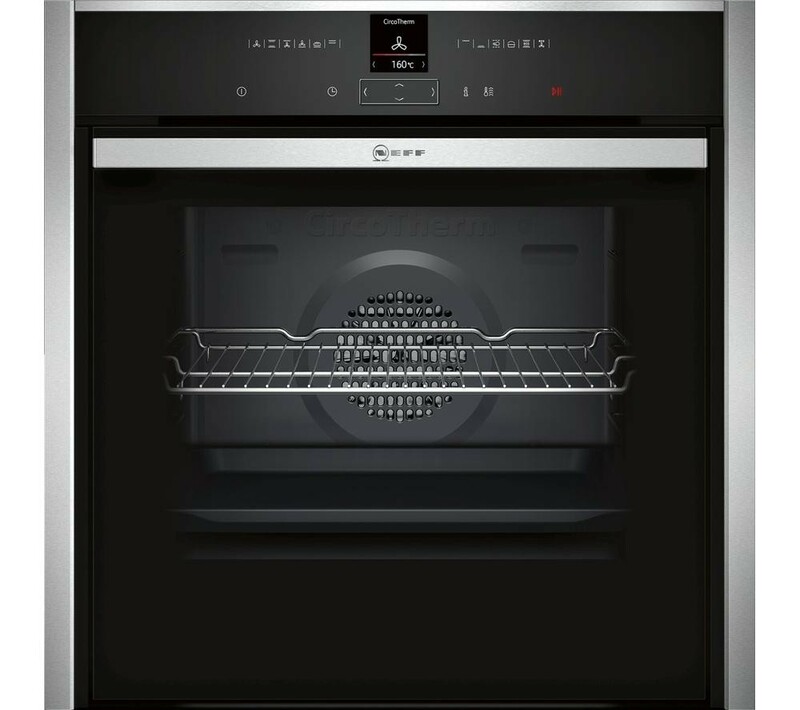 With a generous 71 litre cavity, this single oven is perfect for cooking multiple dishes and is ideal for a three course meal or roast dinner. 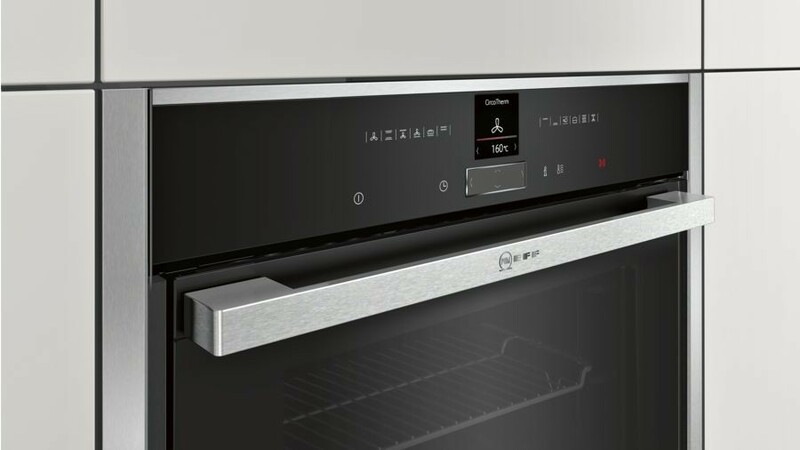 An integrated variable width grill with hot air grilling provides extra versatility when cooking up snacks and meals.Achieve perfect results thanks to a range of cooking functions which include specialist settings for pizzas, bread and braising. The programmable LCD screen with ShiftControl touch panel allows for ease of navigation through the menu and settings, and gives the oven a sleek, contemporary look. An innovative Slide&Hide door with SoftClose functionality conveniently slides away to save space and let you safely get close to your cooking. The self-cleaning B47CR32N0B features an EcoClean system which uses catalytic liners for a maintenance-free design. The liners absorb all the fatty deposits from cooking and are designed to be highly efficient to last the entire lifetime of the oven. Use the BaseClean feature to clean the bottom of your oven. This system uses warm water to soften dirt, after which you only need to give the base a quick wipe.